Who doesn’t want a beautiful, new & kissable lip for their Valentine? 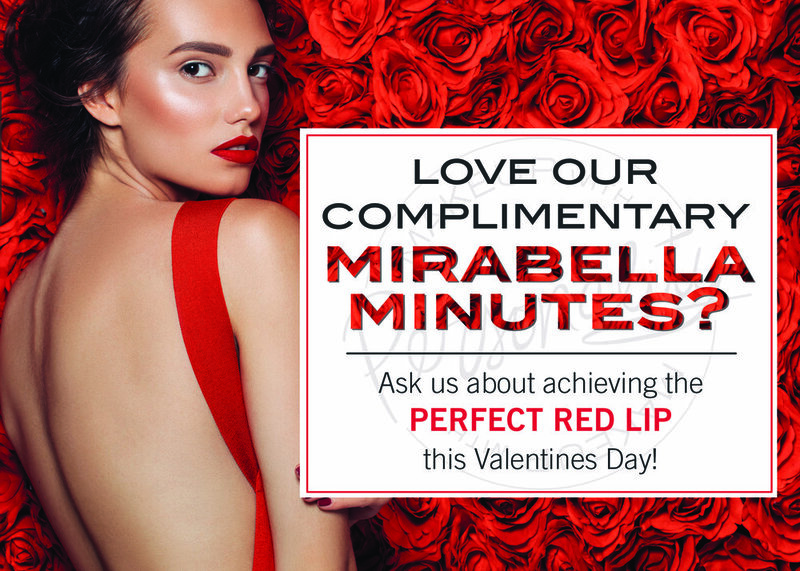 Book your Mirabella Minute and learn to achieve the perfect red lip for Valentine’s Day! Featuring the Mirabella mineral makeup line that’s infused with vitamins and antioxidants to improve the texture of your skin while wearing makeup. Feels very natural yet long lasting!